In a communication age seemingly dominated by text messages and tweets, there is something to be said for the classic elegance and reliable utility of a good pen. 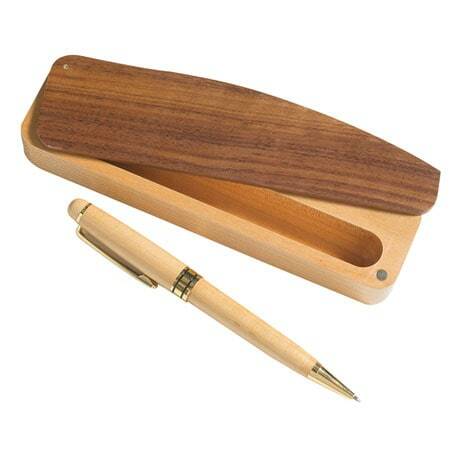 Crafted from attractive blond wood, with gleaming brass details, this handsome pen is sure to become a cherished accessory for the man or woman you know who prefers handwritten notes and to-do lists to e-mails and apps. The 5½" pen comes tucked inside a beautiful two-toned wooden storage case that looks just as at home on an executive's desk as it does in a busy family kitchen.